The Tintern Coffee Table by Zuo is the ideal combination of both modern and contemporary design. 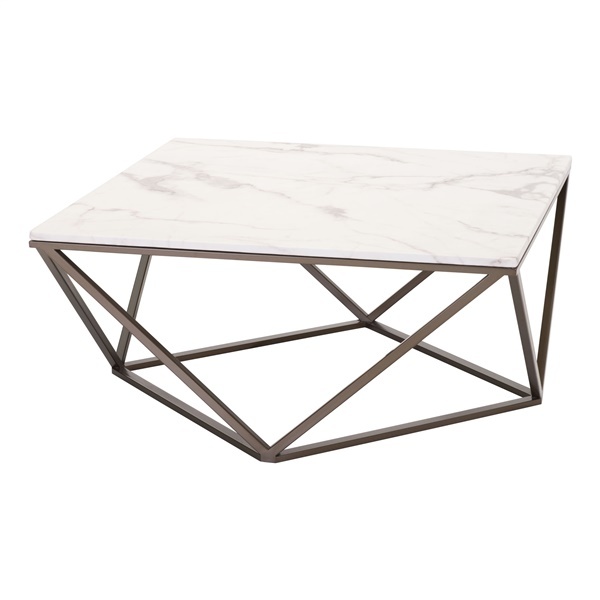 A sleek geometric antique brass base perfectly complements its smooth faux marble top. Featuring veining and unique shapes, this table is sure to be both a statement piece and a spacious place for your guests for entertaining.